AMD has given Intel some real competition with its Ryzen desktop processors, though its Vega GPUs haven’t been quite as successful—partly due to their poor availability. But the decision to combine the pair for its new APUs, codenamed Raven Ridge, looks to be paying off; they’ve gained some great reviews and have appeared in several machines. Now, the chips are making their way into Dell’s latest Inspiron 17 5000-series laptops. Dell is joining Acer, HP, and Lenovo in releasing Ryzen Mobile-powered laptops. Its Inspiron 17 5000-series gives buyers the option of either a Ryzen 3 2200U or a Ryzen 5 2500U, the latter of which you can read about here. The notebooks feature 17.3-inch screens, Full HD TN displays, up to 32 GB of RAM, USB 3.0 and 2.0 ports, HDMI 1.4b output, a 3-in-1 SD card reader, a fingerprint scanner, and even a tray-loading DVD reader/writer. Strangely, there’s no SSD option; internal storage is limited to a 1TB or 2TB 5400 RPM SATA HDD. The model packing the Ryzen 3 2200U with Radeon Vega 3 graphics starts at $679.99 for 8GB of DDR4-2400MHz RAM and a 1TB HDD, while the Ryzen 5 2500U version with Radeon Vega 8 Graphics starts at $899.99 and goes up to $1000 for 16GB of DDR4-2400MHz RAM and a 2TB HDD. 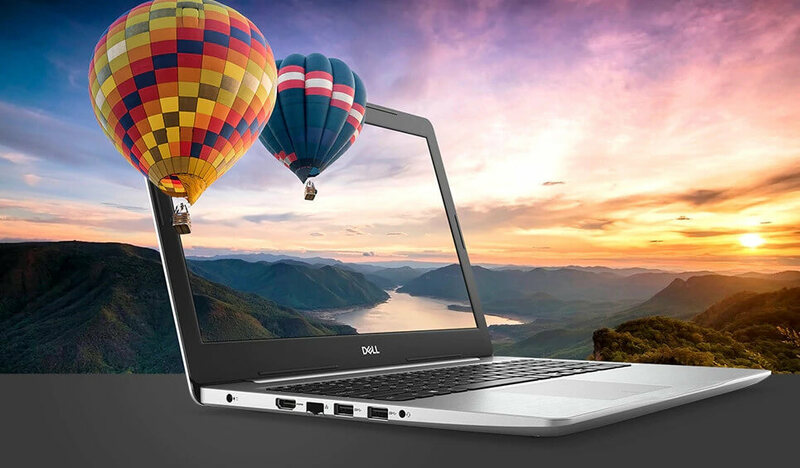 The Inspiron 17 5000 is available to order now and should be delivered later this month. If you’re looking to do some 1080p mobile gaming on a budget, it could be a good choice. For those after something with a bit more power, HP’s warranty support pages have revealed the company is releasing three new EliteBooks featuring Ryzen Mobile chips. The EliteBook 735 G5, 745 G5 and 755 G5 come with 13-inch, 14-inch and 15-inch screens, respectively, and can be fitted with Ryzen 3 2300U, Ryzen 5 2500U, and Ryzen 7 2700U chips. Moreover, these laptops come with SSDs as standard.